Todd J. Sorensen is a managing director of the company. He specializes in providing valuation and transaction advisory services to the firm’s healthcare clients. He has acted as financial advisor in transactions with physician groups, acute care hospitals, health maintenance organizations, preferred provider organizations, diagnostic centers, ambulatory surgery centers, home health agencies, physical and occupational therapy centers, institutional pharmacies, retail pharmacies, and rural health clinics. Mr. Sorensen has also assisted buyers and sellers with purchase price allocations, including intangible asset valuations, for tax planning strategies and deferred taxation mechanisms. Prior to joining VMG Health, Mr. Sorensen was with the Financial Advisory Group of Ernst & Young. Mr. Sorensen played an integral role in the development of healthcare valuation services. Mr. Sorensen has assisted in the development of financial tools that allow clients to make better decisions concerning efficient deployment of capital. 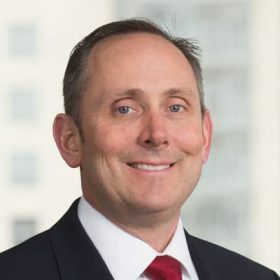 In addition, Mr. Sorensen has assisted clients in the development of innovative performance techniques that lead to increasing shareholder value. Mr. Sorensen holds an MBA degree and is designated as a Certified Valuation Analyst (CVA). Grace Investments Service Systems, Inc. vs. Montana Heart Angio Lab, LLC, Community Medical Center, Inc., and John Does 1-10, Deposition, 2012. AmSurg New Port Richey Fl, Inc. vs. Sreenivasa Prasad Vangara, Deposition, 2014. Sadler Clinic, PLLC and Montgomery County Management Company, LLC Debtors, Allison D. Byman, Trustee vs. Laboratory Corporation of America, Deposition, 2015. Glendale Surgery Partners vs. AmSurg Glendale, Inc., Deposition and Testimony, 2014-2015. Tristar Southern Hills Medical Center Emergency Department at I-65, HCA Health Services of Tennessee d/b/a Tristar Southern Hills Medical Center, Petitioner; Tennessee Health Services Development Agency, Respondent; Vanderbilt University Medical Center, Intervenor; Williamson Medical Center, Intervenor; Expert Report, Deposition and Testimony, 2016-2017.